Ketchikan (population 7,662) dates to the late 19th century. In 1887, Oregon entrepreneurs built a salmon cannery at what is now known as Ketchikan Creek, where Tlingit Indians had fished for centuries. When the cannery burned after two seasons, Mike Martin and George Clark bought the land and established a saltery and a general store. As mining activity declined, fishing became the leading industry. By the early 1930s, there were 13 canneries in Ketchikan, packing 1.5 million cases of salmon a year. Ketchikan, known as “The Salmon Capital of the World,” was the largest town in Alaska. At mid-century, as overfishing and other factors depleted the salmon runs, a large pulp mill went into operation, and Ketchikan boomed again. The pulp mill and timber industry jobs dominated the local economy until the mill was closed in the 1990s. Today, Ketchikan is Alaska’s fifth largest town. 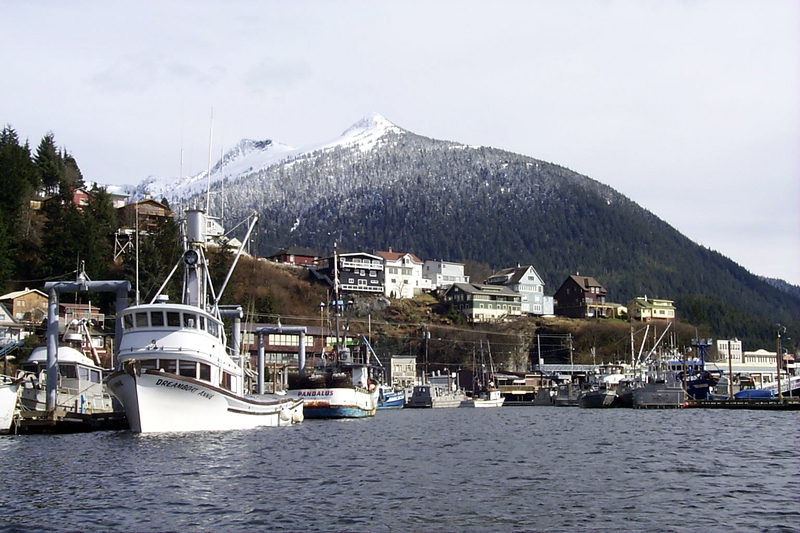 Fishing, seafood processing, commerce, and government are major contributors to Ketchikan’s livelihood, but tourism is the principal industry. The nearby Tongass National Forest includes the Misty Fjords National Monument. Nearly 1 million visitors arrive on cruise ships every summer season. 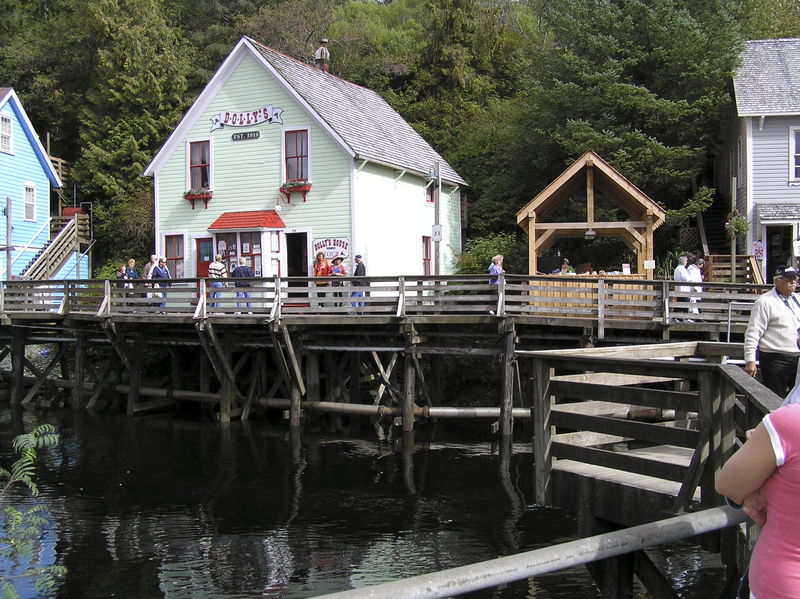 Ketchikan has a large, rich, and diverse collection of historic buildings, structures, and sites. It has 12 listings in the National Register of Historic Places, several of which are districts. Ketchikan’s historic properties include two large collections of the totemic art of the Tlingit and Haida people from the 1800s, and residential, commercial, and public buildings from the 1900s. 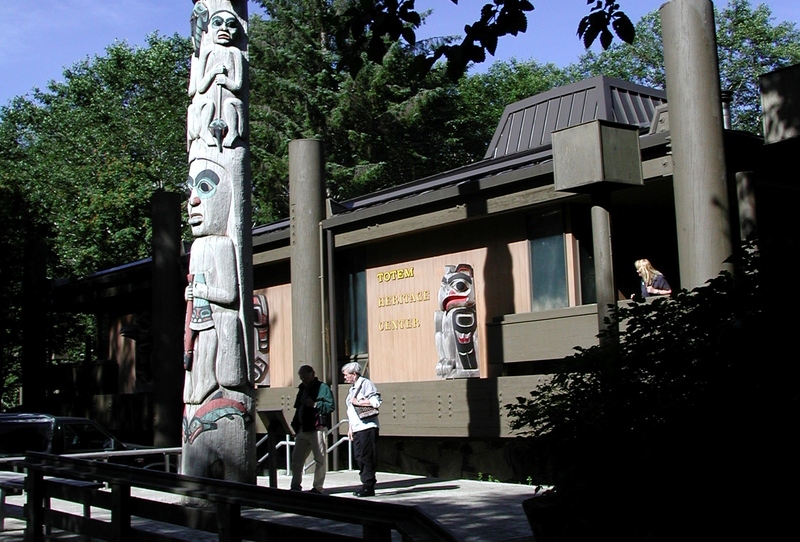 The city operates the Tongass Historical Museum, which interprets the history of the region, and the Totem Heritage Center, featuring 19th century totem poles from the area. The Center also serves as a cultural center for Native peoples, offering classes in traditional carving, weaving, and regalia making during the winter months. Through its “Paint Up Fix Up” program, Historic Ketchikan has provided modest funding to help nearly 250 property owners improve their properties in a historically appropriate manner, helping to preserve the community’s historic character. Historic Ketchikan has also partnered with the city, in cooperation with property owners, businesses, and other government agencies, to develop a waterfront promenade along Ketchikan’s central docks and shoreline. The goal is to highlight and interpret Ketchikan’s maritime history for visitors and residents, while providing a safe and pleasant way to transit the downtown area and the waterfront. With assistance from a Preserve America grant, plans are being made to develop and install way-finding and interpretive signage that will identify historic sites and other attractions throughout the downtown area, and direct pedestrians (including visitors debarking from the cruise ships) to those sites.